On June 1, 2016, a man who was riding his motorcycle on a rural road southwest of Hamilton, Ontario was hit by a car. The man suffered several broken bones, damages to a few internal organs and brain trauma. He was put in a coma for nearly a month as a result. The injuries were so severe that he was pronounced dead at the scene for a moment. However, his family did not get the $2 million in compensation that they could have gotten had the accident occurred just a few hours earlier on May 31, 2016, Instead the family got a little less than $100,000 in compensation. The family is struggling to take care of his medical bills. The family cannot get into a proper drug plan because he is not working due to his injuries. The expenses for constant hospital visits have gone up as well as the added costs associated with traveling an hour each way to a hospital in Hamilton. His wife has also been working less because she’s trying to take care of him in his recovery. The family has lost so much money and has become unable to make a living that they are facing bankruptcy. The worst part about this is that had the injury occurred a day earlier, the family would have qualified to get more compensation so they would not be in this massive financial bind. The situation has gotten to where the family may not have enough money from the compensation in time for Christmas. The family is even suing the driver that hit the man’s motorcycle. This is to potentially recover additional costs associated with the man’s health care. What Caused the Compensation Change? The compensation for the accident was less than it should have been as Ontario insurance laws had changed. While the family knew that the terms on their policy from Intact Insurance were changing, they were not informed of how the process for evaluating injuries changed. This dramatic change in the policy occurred without warning, thus making it harder for the family to get the compensation they needed. The original compensation rules stated that a catastrophic injury was listed with a Glasgow Coma Scale rating of nine or less. The GCS is used to determine how functional a person is. The man in this story had a rating of three but eventually moved to an eight when he became more responsive. Had the accident occurred hours earlier, he would have gotten added benefits because he was deemed to have suffered a catastrophic injury. However, the rules changed to where the GCS is no longer used to determine what compensation someone may have. While trauma teams and hospitals still use the GCS when understanding how to take care of a patient, it is not a point of consideration for insurance purposes. The worst part about this is that brain trauma patients will not be able to get the compensation that they demand for injuries. The fact that the GCS is not fully utilized like it was in the past especially keeps patients from getting all the services and treatments they require. While CT scans and MRIs may still be used, these are often not conducted until weeks or months after an injury. The Financial Services Commission of Ontario, an organization that reviews insurance functions within the province, stated that the terms used to define what injuries are and aren’t catastrophic were outdated. Specifically, those terms were drafted in 1996. The organization adjusted those terms in accordance with scientific and medical reporting. This includes reporting designed to state how catastrophic injuries are defined and what signs occur with them. The fact that people were not informed on how catastrophic injury definitions were changed is a serious concern. This shows that the public had been misled over how injuries are to be reported and reviewed. In addition, the Ministry of Finance adjusted auto insurance rules as a means of keeping insurance from being expensive around Ontario. These rates were changed by altering the requirements associated for covering certain injuries. However, this is not good enough for many families that are dealing with serious injury problems and the added costs associated with recovering from an injury. The family discussed earlier has struggled to stay afloat financially as a result of those changes. This is a concern for all drivers in Canada to be aware of. 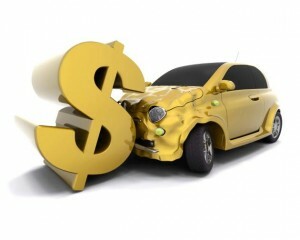 While the cost associated with insurance might go down for some, the coverage points for injuries will decline as well. This is a significant issue that could cause many families to suffer financially if their loved ones experience serious injuries while on the road. Ontario auto-insurance is getting out of hand. Ontarians might as well be heading towards government run insurance. Since most of post-accident health care is already covered by tax payers via OHIP, ODSP, etc. 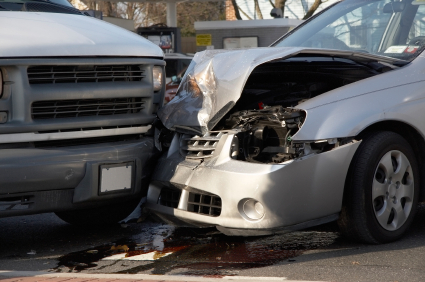 — not auto-insurers — might as well pay directly to the government to insure Ontario drivers. Tax payers are already paying for health care of the injured — it would make sense to get money from the premiums back into the system, not to those fat, inhumane, deplorable, greedy auto-insurance companies. Ontario’s road system has several issues that have persisted for years. Amongst these problems are inadequate driver education and inefficient accident response management systems. Bill 30, the Highway Incident Management Act, is a private member’s bill designed to fix problems plaguing Ontario’s roads and highways after the recently passed Bill 15, aimed at reducing insurance rates, failed to do so. Bill 15 was passed with no public consultations or input from consumers. Inadequate driver knowledge of how to behave in car collisions has contributed to accident clean-up delays and the province’s driver education system is to blame. If the Ontario Legislature passes Bill 30, the government would be required to establish an advisory committee within two months. This committee would report and advise on issues regarding public education programs to improve driver behavior in automobile accidents. Within two months of the committee issuing its advice, the Transportation as well as Community Safety and Correctional Services Ministers would have to publically recommend or decline the recommendations. The Bill also aims to improve accident response efficiency by establishing a committee of traffic incident management experts that would advise on highway accident detection and clearing issues. The Bill also intends to organize tow truck response arrival to accidents. Currently, the tow truck response system is uncoordinated, causing hazards and road congestion as multiple tow truck drivers race to the scene of the accident, each hoping to be the first to secure the job. With the new system in place, tow trucks would adhere to an organized system that ensures qualified tow truck drivers are retained for specific types of accidents. The government ought to make sure that the two truck drivers do not abuse customers by requesting payments in cash. That has been prohibited by government bill and car owners should consider filing a complaint if their vehicle is not released to them on credit or debit card payment. A catastrophic injury is an injury from a car or motor vehicle accident that results in complete blindness, amputation, paralysis, brain impairment, mental disorders, or behavioural disorders. These types of injuries can be detrimental to one’s life and can also be a large burden financially. However, if the proper steps are taken, a victim with a catastrophic injury can be compensated sufficiently and have the expenses of rehabilitation, medical attention, attendant care and so on covered. If you or someone you know has experienced a catastrophic injury but are unsure what steps to take next it’s critical that you speak with Natalie Clarke. She will be able to provide guidance and success in seeking justice, compensation, benefits, and treatment for the injury. A car accident is an unforeseen occurrence that you never expect to happen until it does. How you handle events after a crash can make all the difference in the final outcome. Here are few sensible suggestions to bear in mind if you ever find yourself in such a scenario. Emotions can run high after a collision, but keeping your wits about will help while gathering all the vital information you’ll need to acquire in a short amount of time. You will want to exchange information with the other drivers involved. Get their names, addresses, phone numbers, licence information, insurance company name and policy number. Also look for, and obtain contact information from other witnesses. Make sure to take some time to inspect the accident scene. Take photographs of the incident with your phone, including the damage to the cars, position of vehicles and road conditions. Finding out where you stand with your insurance company is a good idea. Complications can sometimes arise, especially if there’s a grey area as to who is at fault. If you’re left pointing fingers, it may be time to seek out professional advice. A personal injury lawyer can have a sense of where you stand, how to negotiate your case with an insurance company, and if necessary, how to take your case to trial. Seek out medical attention. While it’s tempting to delay a doctor’s visit until you’ve had a chance to see for yourself if you feel any worse for wear, there’s a chance you may have sustained underlining injuries. A full medical exam will provide you with peace of mind, as well as documentation of your physical condition if pains persist. Following the advice of your doctor in a timely manner is paramount to your recovery process. Recommend assessments or treatments such as physiotherapy or chiropractic treatments aren’t always covered. You should speak with your employer in regards to coverage or extended medical benefits as short or long-term disability. Further down the track, you will need to consider if you have completely recovered from the accident. If the answer is ‘no’ then it may be too early to settle. The Ontario Trial Lawyers Association, of which Natalie Clarke has been a long-standing member, recently issued a report card on the “three Ps” of auto insurance: Profits, protection and premiums. The insurance industry should be proud of its A+ grade in profits, not so proud of its D mark for protection and C- for premiums, in the opinion of the trial lawyers. The insurance industry A+ grade for profits is based on the OTLA’s report of insurance profits of $3 billion in 2011 and 2012, with continued high rates of profitability for 2013. It estimates the insurers’ return on equity in the range of 16% to 20%. How is that possible? Premiums are higher and payouts are lower. But don’t insurers deserve to achieve high rates of return now to compensate for their lost billions in the years prior to 2010? According to the OTLA, recently restated industry figures show the losses never occurred. The industry showed a profit in the three years prior to 2010. But weren’t these huge losses used to justify the slashing of no-fault accident benefits in 2010? Yes, and that leads to the D grade in protection. The OTLA estimates benefits have been reduced by 96.5%. That’s due in large part to the reduction of medical and rehabilitation benefits from a maximum of $100,000 to $3,500 for most accident victims. The $100,000 limit for medical/rehabilitation expenses for non-minor injuries was reduced to $50,000. Worse, these limits include the cost of medical reports and insurers often send accident victims to their preferred sources of so-called independent medical examinations in an attempt to delay and deny benefits. Too many of the experts who conduct these independent exams earn substantial portions of their income from insurance companies and are beholden to them. The insurance industry continues to push for “reform” of the definition of catastrophic impairment so as to reduce the coverage for those in most serious need of aid. Sorry, the C- grade for premiums is based on an increase in premiums of 20% since 2009. While rates are supposed to drop by 15% over the next two years, insurers continue to push for further “reforms” as a quid pro quo for premium cuts. Some insurers started to reduce their rates last year. Why haven’t more? After all, every insurance company sells the same motor vehicle insurance policy. In my view, the OTLA report card is missing two important subjects in which the insurance industry deserves an A+. Those are public relations and delay and deny tactics. The industry continues to do an excellent PR job convincing the public and politicians that fraud is the major issue facing the industry and that further reforms, meaning reductions in benefits, are necessary. While fraud is a big problem, it shouldn’t be used to justify maltreatment of accident victims. As part of the PR efforts of the insurance industry, its money continues to be shuffled to politicians. Last year, the insurance industry’s lobby group gave $27,900 to the Liberal Party. So far this year they’ve given $20,950. Those figures don’t include donations made by individual companies. The industry also continues to do an excellent job in the delay and denial of claims. Insurance companies deserve top marks in forcing victims to participate in the lengthy mediation/arbitration or mediation/litigation process. Adjusters and insurer experts continue to do an excellent job denying claims and providing opinions to justify the denial of claims. All in all, an excellent report card for insurers. But not so good for the public. If you are a survivor of a car crash and need rehabilitation treatment, you inevitably, will undergo multiple insurance assessments with the assessors hired by your insurance company. These assessments are routinely requested by the mva injuries insurance company with the assessors of their choice (often the same doctors) to determine whether the insurance company can refuse to pay for your treatment because in their opinion the treatment recommended by your treating doctor is not “necessary”. The complaints about such doctors should be released to the public under the new Transparency Principles that are being developed by the College of Physicians and Surgeons of Ontario. The Ontario Trial Lawyers Association, of which Natalie Clarke is a member, had submitted a very important feedback document to the College of Physicians and Surgeons of Ontario on their “Draft Transparency Principles”. One key issue that OTLA raised was related to those Insurer Examinations under the Insurance Act and its regulation, the Statutory Accident Benefits Schedule. Throughout the years, claimants voiced concerns about the conduct of insurance doctors in their assessments and preparation of their reports. In addition to the incidents of unqualified medical practitioners carrying out insurer medical assessments, there is a widespread perception that reports are often biased and that these assessors operate without fear of professional sanction in an environment that lacks transparency and accountability. OTLA’s submission requesting that more information about such doctors be publicly available, is a positive step in furthering transparency in the realm of insurance assessments. With the rise of the internet, it is becoming increasingly easier for people to pretend to be someone they are not. Unfortunately, this means it is not always evident immediately who is trustworthy. Scams like fake insurance companies are a real problem. Here are some tips to help you avoid scammers. Insurance scammers often advertise heavily discounted insurance, often auto insurance, under the guise of working for a legitimate insurance company, and claim they can find you insurance coverage at rates significantly lower than what you are paying currently. It is illegal to drive without auto insurance, even unknowingly. It is your responsibility to ensure you have the correct coverage. But if you are in a car accident, Clarke Law can help. DO NOT pay a referral fee – licensed agents and brokers do not charge you fees. DO NOT pay your auto insurance premium through a wire transfer or money wiring service – this is not a practice in the insurance industry. DO complete an Ontario Application for Automobile Insurance – Owner’s from (OAF1) application when applying for auto insurance. If an agent or broker completes the form on your behalf, check it for accuracy – by signing the contract, you’re agreeing to the statements made by the insurance company. DO contact the police if you suspect fraudulent activity on the part of an insurance company. DO check that the insurance company is licensed as well. 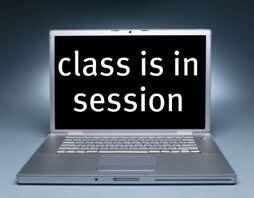 Clarke Law prides themselves on providing you with professional, quality service. 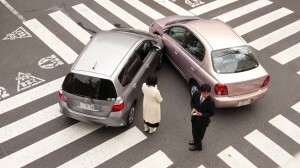 Contact us today if you need a car accident lawyer.